Okay, so I made up this name, but it definitely fits this dish. 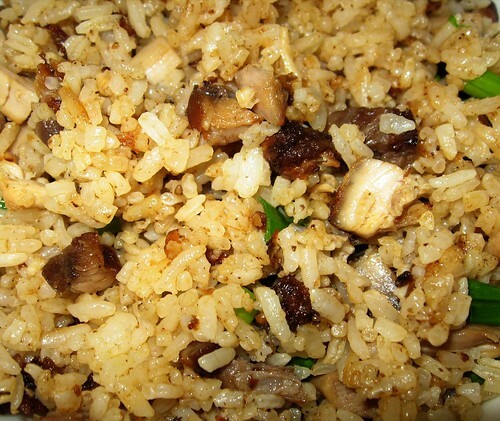 As evidenced by my previous post on Prime Rib Garlic Fried Rice, we’ll make fried rice out of any leftover meat. This time, we had three very different meats—homemade Ad Hoc fried chicken, oven-smoked baby back ribs, and Pollo Oregano from Mi Lindo Peru—and the combination was great! I added some more Stubb’s to the fried rice and mixed it around, and it was perfect. The bits of crispy fried chicken with the smoky ribs was an awesome combination. 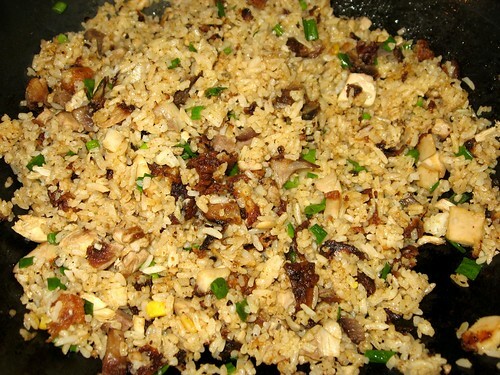 It’s one of the best versions of fried rice my wife has ever made. Viva Arroz con Tres Carnes!